Well, this game of cat and mouse was bound to come to an end and so it does. Valencia CF gave Mathieu and ultimatum which gave Barcelona has till Tuesday to cough up the 20 million euros (his release clause) and if it doesn't then he will start training as normal, no more sitting and waiting. This has reportedly worked as Barcelona have raised the 16 million euros offer to 20 million euros. In fact the signing is set to be announced tomorrow with Mathieu to be presented on the same day. With that Valencia CF get their money and their terms in this deal, and Barcelona get their center back as requested by their new coach Luis Enrique. Mathieu also just got his dream transfer to cap off his career. Just got to say Bravo to President Salvo for fighting till the very end. That's the type of commitment I wanted to see. 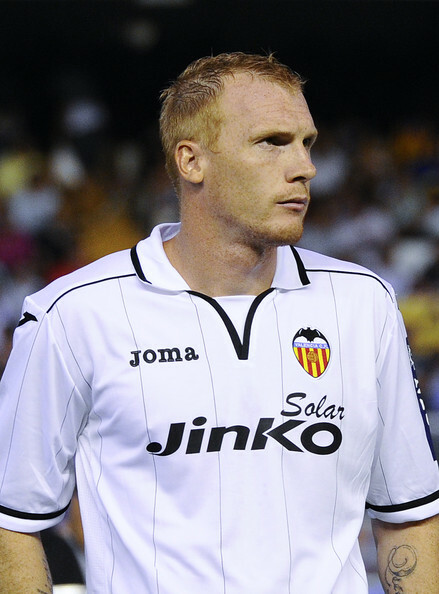 Mathieu has had a good time in Valencia CF. Under Emery, he was part of a great combination on the left flank with Jordi Alba, where the two would play there seamlessly and interchangeably. Now the two find themselves on the same team again. It was only recently that Mathieu was used a center back, (I think it was under Valverde that tried it first). He has had solid performances this year and took over the captain's role from Costa. With this, we also lose our third center back following Costa and Rami. With Ruiz probably on the way out too, we need major work on defense. Any thoughts on Mathieu? His transfer? Good move or bad move? Any good memories you have of his time at Valencia CF? Any ideas for replacements to our defense?